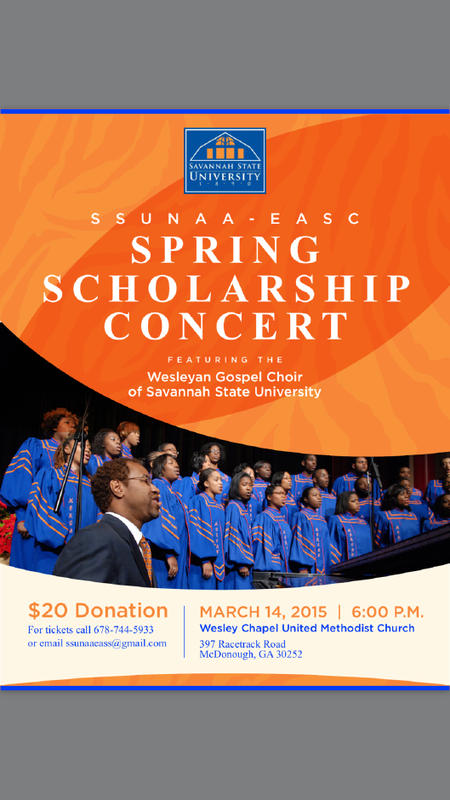 SAVANNAH, Ga. — The Savannah State University National Alumni Association Savannah Chapter will hold the 2015 Influential SSU Alumni Scholarship Benefit on May 16 at 11:30 am in the Student Union Ballroom on the campus of Savannah State University. The annual luncheon event is designed to builds support for “Up and Coming Influential Alumni” who are 11th or 12th grade students or current SSU students. The celebration will recognize the achievements of the 2015 ‘alumni couple’ honorees: Robert and Betty Bess, John and Herlene Fluker, Ronald and Ruby Booker, John and Beverly Copeland, Warren and Betty Mitchell, and Minister Clara and Elder Raymond Rouse. 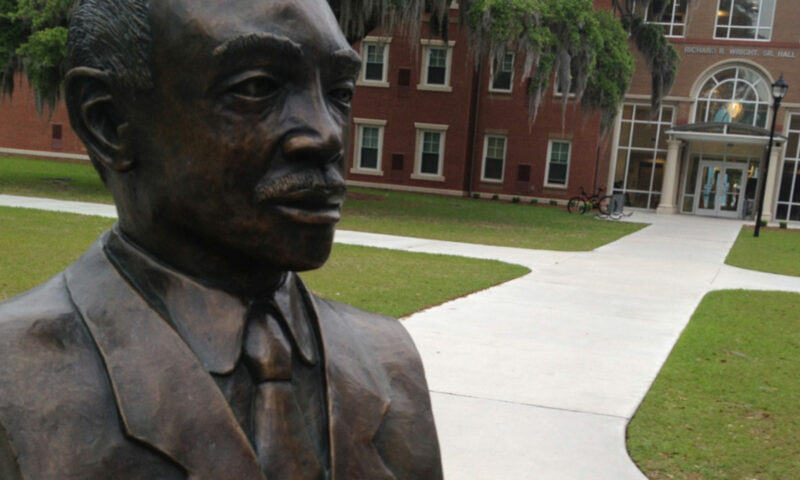 The program will also feature alumni and students who have contributed to the goals and objectives of Savannah State University. Members of the community may participate by reserving space in the program booklet for ads and messages. 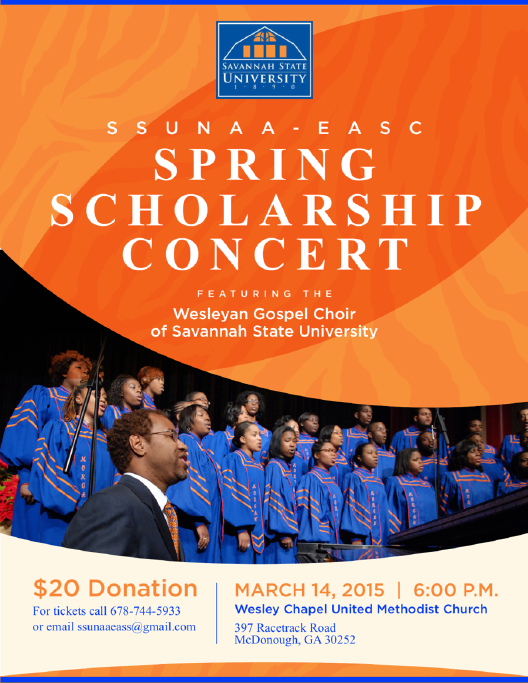 You may also contact a member of the SSUNAA Savannah Chapter to purchase tickets. The deadline for sponsorships and donations is May 12. Interested persons should contact the Fundraising Committee Chairperson, Ruth C Wright, or Tony Wright, Sr., president of the SSUNAA Savannah Chapter, at (912) 233- 4306.